People are almost always undergoing some type of emotion or feeling. Emotional states vary within a day. Consciously or unconsciously, external stimuli affect our emotional equilibrium. One is in better control of his emotions if one is in better control of his environment. Emotions are so complicated and powerful that sometimes such is expressed in a variety of attitudes, gestures and forms. 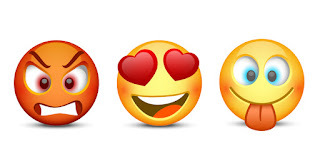 Each and every emotion says a quality in the positive or negative scale. Changes of emotional intensity transpire either towards the negative or the positive side. Wukmir (1967) said that emotions the very mechanism that perceives what is favorable for survival. Emotion is an immediate answer of the organism that informs about the degree of acceptability of the perceived situation. Emotions act as a compass to find favorable situations to survive and to move away from unfavorable situations. Emotional appraisal is carried out by a variety of physiological-chemical mechanism depending on the complexity of the organism. Emotions are positive when they are towards life and survival and negative when it is towards death and extinction. Emotion comes from the Latin word movere, which means “to move.” Humans would listless and accomplish nothing if there were no emotions to motivate them. Emotion is a name for expressed feelings. They have to do with the chemical constitution of the body. Emotions are related to a basic human characteristic called willpower. Emotional maturity comes with the passage of time and is based on experience and reflection on the past. If an individual can be immersed in others, in interesting hobbies or work, or in meaningful causes, that person can develop positive emotions. 1. Physiological changes. This involves changes in the blood chemistry, brain waves, and conditions of internal organs. 2. Neural responses are affected. Heart rate, blood supply, respiration change, muscles react, goose flesh sometimes appear, eyelids and eyeballs protrude, kidneys and bladder also become more active during emotional crisis. 3. Observable changes in behavior. This denotes the changes in facial expressions, body movements, and vocal expressions. 4. Subjective experiences. This connotes the relativity of emotions. An individual no matter what he is experiencing is always evaluating the situation. Sickness and disorders are sometimes caused by the inability of the organism to handle stressful situations. In order to be healthy and stress-free, emotions must be properly managed, directed and expressed. Proper handling of emotions leads to enjoyment, endurance and even strength. Since emotion is inevitable in human experience, it is best to have emotional maturity for proper self-control of emotions. Emotional maturity means management and supervision of experiences in such a way that it will not result in negative emotions which may lead to physiological complications. Change the emotion-provoking situation. It is always better to be a friend than to be an enemy. It is better to forgive than to seek revenge. It is better to make peace than war. Increase skills for coping with the situation. More opportunities of socialization leads to better coping skills. Re-interpret the situation. Everything is relative. If one needs to change the world, one need only to change his perception of the world. Keep working toward your goal. Problems and difficulties are part and parcel of this existence. Have an objective. As long as one works towards an objective, there is happiness, contentment and achievement to look forward to. Find a suitable outlet. Sigmund Freud calls this concept displacement, which is a defense mechanism. An indirect solution is a better alternative than no solution. Develop a sense of humor. Laughter makes everything bearable. How do you manage anger, fear and sadness? How do you deal with these emotions? Fear can be a poisonous emotion. It can torment us, rob us of sleep and preoccupy our thinking. People can literally be scared to death. Fear can also be contagious. Fear is an adaptive response. Fear prepares our bodies to flee from danger. Fear binds people together for mutual protection. Fear of punishment constrains us from harming others. Fear can also be learned by observation. We tend to adopt some fears of our parents and other family members. Fear learning happens in the amygdala of the brain. The amygdala may cause the body to experience diarrhea or shortness of breath in extreme cases of fear. Often anger is a response to a friend’s or loved one’s perceived misdeeds. Anger is especially common when another person’s act seems willful, unjustified and avoidable. But blameless annoyances – foul odors, high temperatures, aches and pains – also have the power to make us angry. Should anger be expressed or kept under control? It depends on the culture. Individualized culture would advise a person to release his anger. But in group-centered cultures, anger is seen as a threat to group harmony. The advice to vent one’s anger presumes that emotional expression provides emotional release or catharsis. The catharsis hypothesis assumes that we reduce anger by releasing it. But expressing anger may breed more anger. Retaliation and escalation may turn a minor conflict into a major confrontation. What is the best way to handle anger? First, bring down the physiological arousal level of anger by waiting. Second, vent the anger by doing something else like exercising, playing an instrument, confiding your feelings to a friend or to a diary. One’s state of happiness or unhappiness colors everything else in the world. People who are happy perceive the world as safer, makes decisions easily, rate job applications more favorably, and report greater satisfaction with their whole lives. When your mood is gloomy, life as a whole seems depressing. Let your mood brighten and suddenly your relationships, your self-image and your hopes for the future all seem more promising. When we feel happy, we are more willing to help others. This is called the feel-good, do-good phenomenon. On the other hand, Positive Psychology states that if you do good for others like family, close friends and even strangers, there is a tendency to feel good as a result. Happy people tend to have high self-esteem, optimistic and outgoing, have close friendships or a satisfying marriage, have a meaningful religious faith, sleep well and exercise. People usually feel happier if mentally engaged by work or active leisure. Common sense tells us that we cry because we are sad, lash out because we are angry, tremble when we are afraid. According to William James however, we feel sorry because we cry, angry because we strike, afraid because we tremble. After you successfully evade an oncoming car as you cross the street, you may then feel your heart beating fast and only then do you shake with fright. The feeling of fear follows the body’s response. This theory was followed up by Lange. James asserted that in order to feel cheerful, sit up cheerfully, look around cheerfully and act as if you already possessed cheerfulness. Cannon and Bard however concluded that the physiological arousal and the emotional experience occur simultaneously. Your heart begins pounding as you experience fear but that one does not cause the other. What is the connection between what we think and how we feel? Do emotions always grow from thoughts? Is the heart always subject to our mind’s appraisal of a situation? Can we experience emotions apart from thinking? Can we change our emotions by changing our thinking? Schachter proposed his two-factor theory which states that emotions have two ingredients: the physical arousal and a cognitive label. Our emotional arousal response is often linked to our interpretation of the event. According to Robert Zajonc, emotional reactions are sometimes quicker than our interpretations of a situation. He believes that cognition is not necessary for emotion. Some neural pathways involved in emotion bypass the cortical areas involved in thinking. One such pathway runs from the eye via the thalamus to one of the brain’s emotional control centers. Richard Lazarus disagrees. He claims that some emotional responses do not require conscious thinking. Even instantaneously felt emotions require some sort of quick cognitive appraisal of the situation. The appraisal may be effortless and we may not be conscious of it, but it is still a function of the mind. We may fear the spider even if we know it is harmless. Some simple emotions require no conscious thought.